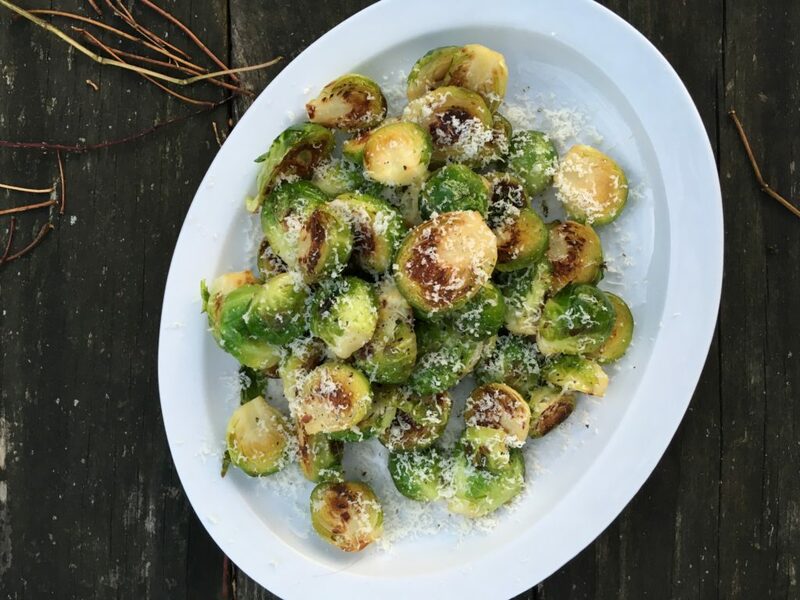 A recipe for Brussels sprouts sauteed in olive oil and topped with parmesan cheese for a delicious side dish. Wash the brussels sprouts well. Trim the stem ends and remove any raggy outer leaves. Cut in half from stem to top and gently rub each half with olive oil, keeping it intact (or if you are lazy just toss them in a bowl with a glug of olive oil). Heat 1 tablespoon of olive oil in your largest skillet over medium heat. Don’t overheat the skillet, or the outsides of the brussels sprouts will cook too quickly. 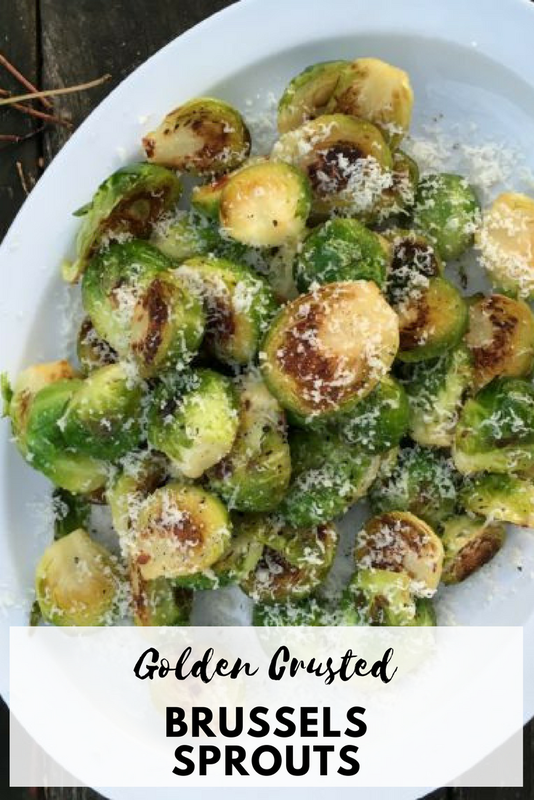 Place the brussels sprouts in the pan flat side down (single-layer), sprinkle with a couple pinches of salt, cover, and cook for roughly 5 minutes; the bottoms of the sprouts should only show a hint of browning. Cut into or taste one of the sprouts to gauge whether they’re tender throughout. If not, cover and cook for a few more minutes. Once just tender, uncover, turn up the heat, and cook until the flat sides are deep brown and caramelized. Use a metal spatula to toss them once or twice to get some browning on the rounded side. Season with more salt, a few grinds of pepper, and a dusting of grated cheese. While you might be able to get away with keeping a platter of these warm in the oven for a few minutes, they are exponentially tastier if popped in your mouth immediately.